Mumbai : A Metropolitan Magistrate granted bail to five doctors of the LH Hiranandani Hospital in a kidney racket case, subject to several stringent conditions. Hospital CEO Sujit Chatterjee, Medical Director Anurag Naik, medicos Mukesh Shetye, Prakash Shetty and Mukesh Shah arrested on August 9 were ordered to be be released on bail of Rs. 30,000 each. However, the court ordered them to report to the police station concerned even Monday evening till September 26 and also barred them from leaving the country without the court’s permission. On August 13, these five medicos were produced before the court at the end of their police custody and remanded in judicial custody till August 26. Now, their bail pleas have been granted. On August 16, the accused doctors’ lawyers Aabad Ponda, Subir Kumar, Pranav Badheka and Brian D’lima had filed the bail applications during a regular sitting, as directed by the magistrate last Saturday. The defence said the police had told the court that the accused were not required for further custodial interrogation, that there were no financial dealings by them and since they are medicos of repute they would not abscond or tamper with evidence or witnesses. They argued that the doctors had no role in the approval of the kidney donation and bail had already been granted to the other prime accused, including the kidney donor, the intended recipient and the coordinator. However, the public prosecutor opposed the bail on the grounds that they might tamper with evidence, that the racket was still being probed and that the anticipatory bail pleas of two other hospital medicos had been rejected. Last Friday, the Dindoshi Sessions Court had rejected the anticipatory bail applications of medicos Suwin Shetty and Veena Salekar. Police is probing more suspicious kidney transplants and have already hinted at more arrests from the hospital. 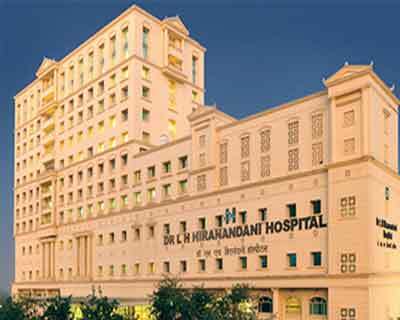 On August 12, the Hiranandani Hospital appointed an external firm, Ernst & Young, to audit all kidney transplant cases carried out in the hospital in the past one year. The lid was blown off the racket on July 14 when social worker Suresh Gupta, some political activists and members of a trade union stopped a kidney transplant operation midway since the donor and the recipient were allegedly found to be a fake couple ‘husband’ Brijkishore Jaiswal and ‘wife’ Shobha Thakur. Since then, a total of 14 persons have been arrested in connection with the racket at the reputed 12-year-old suburban private 240-bed hospital. Following the expose, the Maharashtra Directorate of Health Services set up a committee of medical experts, which is said to have found irregularities related to at least four kidney transplant cases. Based on the committee’s report, the police arrested the five medicos on August 9, sending shockwaves in the medical fraternity.